Let me discuss the good parts of this book. The author has a way with words and has put me on the edge of my seat while reading this. There were times that I couldn’t stop flipping the page because everything was well written. It has captured me and swallowed me whole. It’s also a great summer read (you know those type of books you read when you just want something to read). Time just passes by as you get entranced by the story and its characters. I loved how the characters were characterized. Each character has a purpose and was perfectly molded to fit their role. They were all pieces to this intense puzzle game going on in the author’s mind. The complexity and interrelation of them all were on point. The characters really stood out and made the book alive. It took them to a different level. Now on to the disappointing parts of the book. 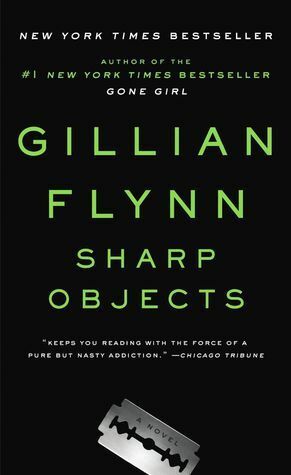 On a high level, I’m kind of disappointed at Gillian Flynn’s writing style. After watching Gone Girl (I’ve never read or watch Dark Places), I knew I had to expect a twist in it all. The first few chapters captured me but as I was getting to the middle part and the end, I knew what was going to happen. I saw the twist before it even came. Maybe it’s partly because I am a freak and have a very intense imagination but I also think it’s because of Gillian Flynn’s overall predictable writing style. I don’t enjoy reading books that I can predict. Overall, this book is all kinds of amazing. The characters and their stories were all mind-blowing crazy good. I loved how each character had their own roles to play in the bigger story. Unfortunately, though, I didn’t like how predictable it became for me and how all the good and juicy stuff were just at the end. As slow and perfectly placed the story was (to give all the characters justice, etc), I would’ve preferred more action in the middle part compared to it all being in the end. The story also abruptly ended. As good as the story started, the ending felt a little meh for me. This is also the reason why as much as I loved this book, it’s so easy to forget it. Good, but not good enough. ps. This book is very disturbing so if you’re easily disturbed or traumatized, skip this. The author has a very detailed imagination and believe me, it will haunt you if you get affected easily. It’s really good that you’re so disciplined with your reading! I’m distracted by Netflix, lol. Ooh I read this one awhile ago, I remember really loving it but, same as you– I often can predict the endings in thriller books, it gets boring. I’ve not read or watched any of Gillian Flynn’s other work but I def wanna watch the mini-series they created for Sharp Objects! I read this book because of your review! I remember seeing your post and thinking I have to read this! 🙂 I like the book but definitely think it could be better. I think the mini series would be better? I hope so. I’ll watch out for it. AW, really?! That makes me so happy!! I’m sorry you didn’t like it better though. ❤ I am hoping the series will be better than the book & not a total flop. Haven’t read anything by Gillian Flynn yet. Sayang naman yung story pag naging predictable. Sometimes I feel like nagiging predictable na ang crime/thriller novels when you read too many or watch too many true crime shows.